Simple Cleansing Facial Wipes ($4.47 at Walmart) to the rescue. 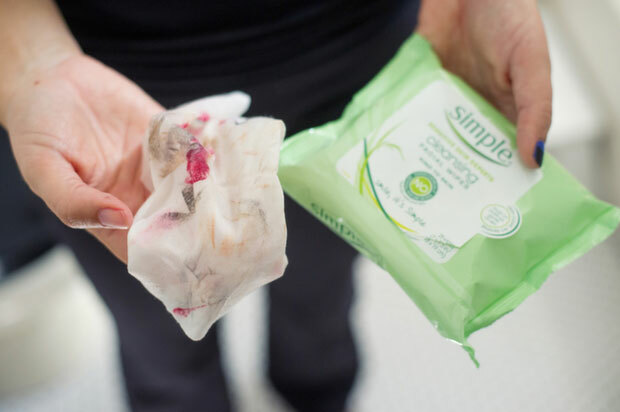 Simple Cleansing Wipes don’t only remove makeup. They moisturize your skin leaving it hydrated and healthy for a great night’s rest. 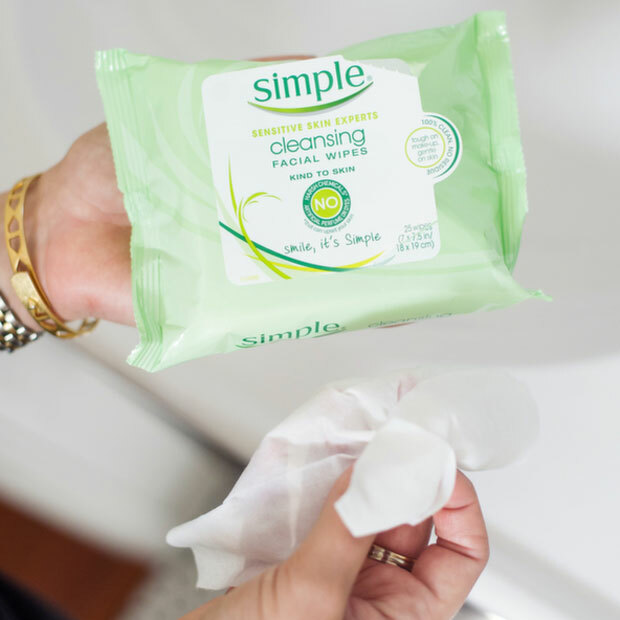 Simply swipe Simple Cleansing Wipes on your eyes, face, and even your lips. Makeup = gone. Skin = refreshed. 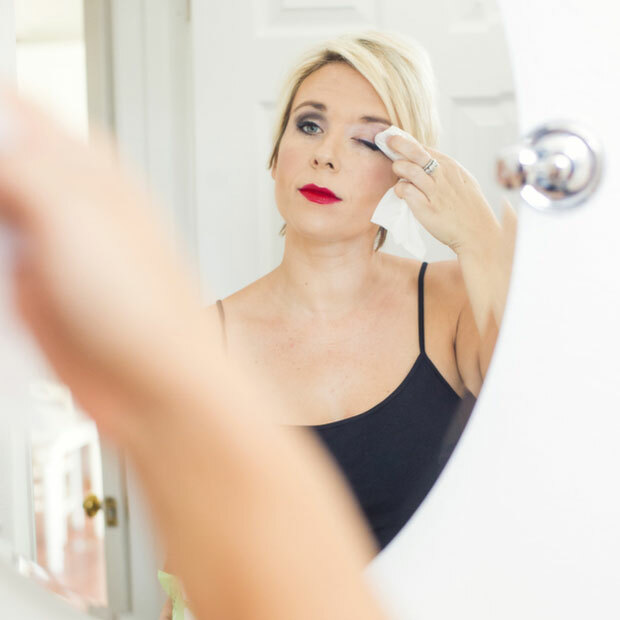 The next time you think about falling asleep without taking your makeup off, just reach for one of these facial wipes instead. You can even keep them bedside. It can’t get any easier than that.